Dog is man best friend, and getting a dog is an amazing experience. If you decided to adopt a new dog or puppies then you might need to think about a lot of things. Dog is a brave, loyal and strong creature, however, they also need time to adapt to the new environment. Like any other pet animal, a dog needs time to adjust their new home, new routine, new diets, and a lot more for your dog. Imagine you are a little creature, in a whole new environment with no one you know, no one you recognize, and a lot bigger than you are. That’s an adopted dog will feel at first on the new home, so make sure you put a lot of effort to help them adapt to their new lovely home. Every dog had different characters. Some of them can easily adjust the new house after adoption, but some of them need extra time and attention. Adopting a dog from shelter need an extra effort, but you will soon know the benefits and why you should adopt a dog from a dog’s shelter. If you want to adopt a dog from shelters, but you don’t know much about how to help your dog adjust to new home, then check out these amazing tips to help an adopted dog adjusted to a new home here. These tips can help you bond with your new dogs or puppies, and help your new dogs to familiarize with new surroundings. Let your dog explore your house and yards slowly. Don’t rush thing, let them roam out exploring at their own paces. Although every dog had different characteristics, so some of the dogs take quite a lot of time to familiarize with their surroundings, but some of them can easily be adjusted with their new lovely home. If your dogs seem anxious and afraid, show them your affection us much as you can, but don’t overwhelm them with your petting and affection or it will irritate your new adopted dogs. It is a very exciting experience to get a newly adopted dog, and you might want to show them with your whole family. Make sure you introduce your new adopted dog to your family slowly, while training your adopted dog to adjust lifestyle in your home. By the space here, means your dog own personal space, a space for them to retreat, and relax alone without any disturbance and noise. You can always provide space for your dogs like a special corner for them, a special bed, or cage. However, If you decided to provide a cage for your dogs, make sure you give them a proper cage, spacious enough, with good airflow, and ample supply of foods, drinks, and entertainment for them. You also might need to train your dog to get used to the cage. At the first couple of days in your house, personal space for your dogs can be very important. In the shelters, there might be no personal space for the dogs at all. So, the first time they get own space and quiet place is on the first couple days at your house. Stomach issues like diarrhea are very common in the first weeks after you adopt dogs from a shelter. 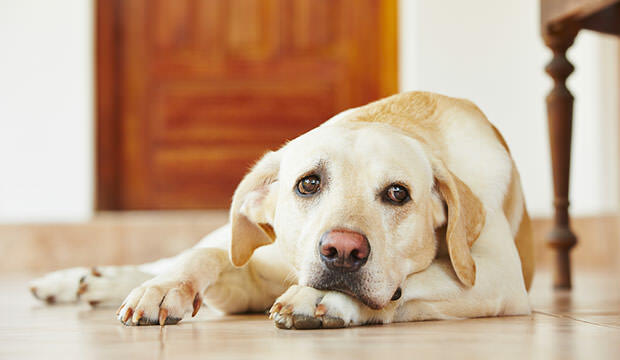 The main reason for stomach issues might be the dietary changes your new dog’s experience. Consider to consults with the shelter first, ask them what foods they serve for the dogs. If you don’t like the food brand the shelter give, then you can change them slowly for your dog. To slowly change your new dog dietary, you can mix up your old dog food with the new one you prefer. If your dogs lose its appetite, you need to keep an eye on it carefully. Make sure they are still hydrated enough, and not critically starved. Try out to give them some quality foods like chicken, bacon or ham. The best way to bond with your dog is to create daily games and activity together. Make sure to create a routine activity every day, or at least a week. Adjust your dog with time schedule and routine at your house, give them foods at the same time, daily walk at around the same time, potty break, and bedtime at the same time. This way, your dog will learn how to adjust in your new home easily, and adjusting with their own new life. Make sure to follow the schedule routinely. During the first days or weeks, some dogs might attempt to run away, especially during their daily walk time. During a walk, make sure you leash your dogs at all time. Train them to come back when you called. Until your dog comes back when called, you should keep your new dogs leashed during walk time. You also need to be careful when your dogs roam your yard. They can jump over the fences, or even dig underneath the fences to escape. Make sure you supervise your dogs as often as you can. Eventually, your dogs will be adjusted to their new home, and be fond of you as their new master in no time. Some adopted dog might need extra time, preparation and attention from you to warm up to their new master, and accustomed to their new home. Take it slow, make sure your dog is always healthy, provide everything they need from foods, drinks, space, and the most important is your attention. Show your dog that you are affectionate with it. Eventually, your dog will warm up to you and your love. If you think there are more effective or we left out some Tips to Help an Adopted Dog Adjusted to a New Home, feel free to give us some comments or feedback here.